Prices are increasing by a small percentage MAY 1st. This is our second price increase in 8 years! 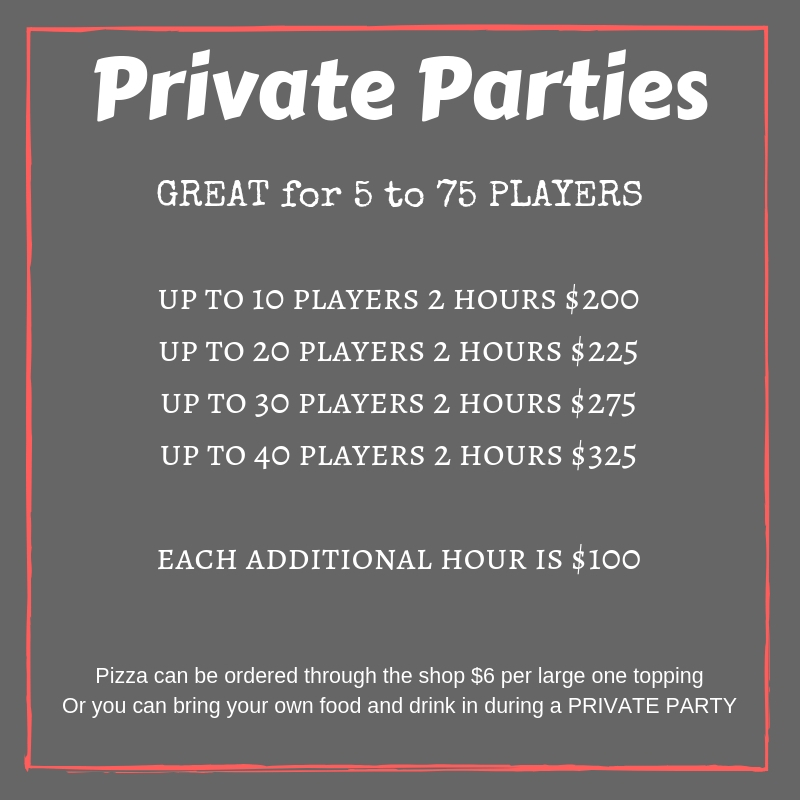 We fully intend to still offer a great value and still be very competitive with other party rentals in the area. We will honor any prices with any parties booking further out as long as you book before May 1st. We require a $50 non refundable deposit that MUST be made when you book your event. 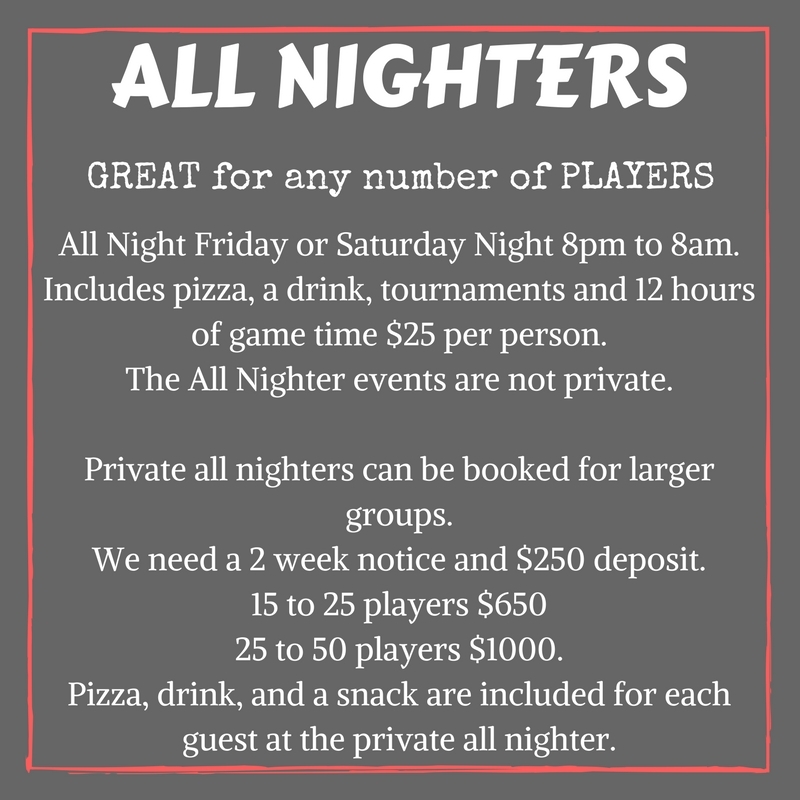 Private ALL NIGHT EVENTS require a $250 deposit. PLEASE KEEP ALL FOOD, CAKE, PIZZA, and DRINKS in the back area around the tables! 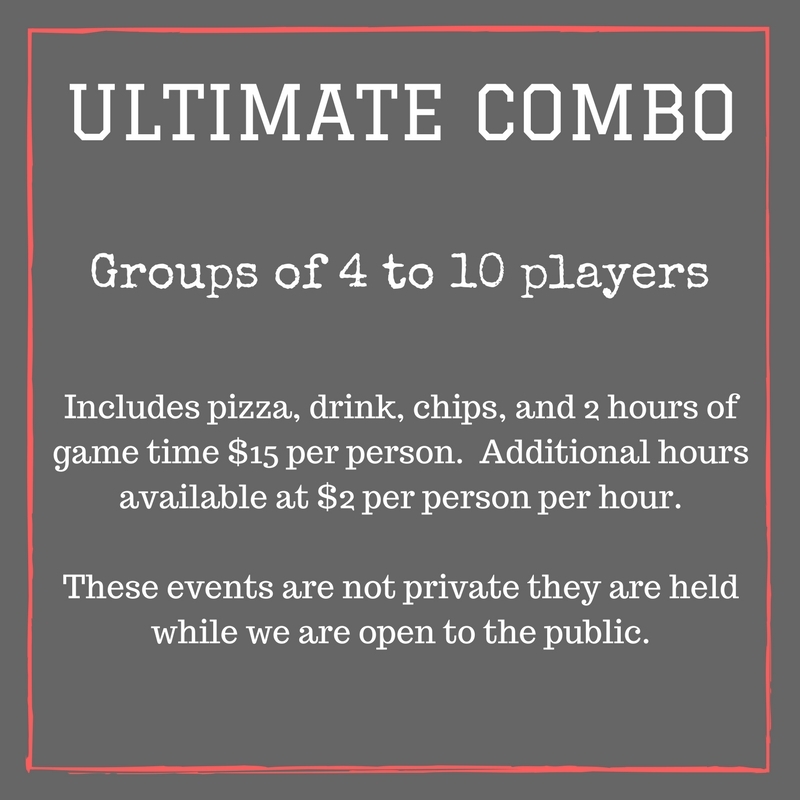 Please contact us directly at 706-305-3780 or levelupjjackson@gmail.com for more details on pricing and availability.